For other people named John Haldane, see John Haldane (disambiguation). 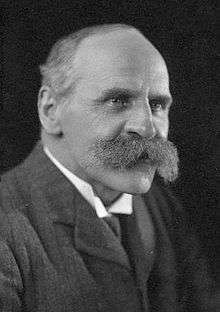 John Scott Haldane CH FRS (/ˈhɔːldeɪn/; 2 May 1860 – 14/15 March 1936) was a Scottish physiologist famous for intrepid self-experimentation which led to many important discoveries about the human body and the nature of gases. He also experimented on his son, the equally famous J. B. S. Haldane, both for extending his father's interest in diving and as a key figure in population genetics and the development of the modern evolutionary synthesis even when he was quite young. Haldane locked himself in sealed chambers breathing potentially lethal cocktails of gases while recording their effect on his mind and body. Haldane visited the scenes of many mining disasters and investigated their causes. When the Germans used poison gas in World War I Haldane went to the front at the request of British secretary of state, Lord Kitchener and attempted to identify the gases being used. One outcome of this was his invention of the first box respirator. Haldane was born in Edinburgh to Robert Haldane, whose father was Scottish evangelist James Alexander Haldane, and Mary Elizabeth Burdon-Sanderson, daughter of Richard Burdon-Sanderson and the granddaughter of Sir Thomas Burdon. His maternal uncle was the physiologist John Scott Burdon-Sanderson. He was the brother of Elizabeth Haldane, William Stowell Haldane and Richard Burdon Haldane, 1st Viscount Haldane. Haldane attended Edinburgh Academy, Edinburgh University and the Friedrich Schiller University of Jena. He graduated in medicine from Edinburgh University Medical School in 1884. On 12 December 1891 he married Louisa Kathleen Coutts Trotter (1863–1961), daughter of Coutts Trotter FRGS and Harriet Augusta Keatinge. They had two children: the scientist J. B. S. Haldane and the author Naomi Mitchison. Haldane was Gifford Lecturer in the University of Glasgow, Fellow of New College, Oxford, from October 1901, and Honorary Professor of the University of Birmingham. Haldane received numerous honorary degrees. He was also President of the English Institution of Mining Engineers, a Companion of Honor of the British Court, a Fellow of the Royal Society, a member of the Royal College of Physicians and of the Royal Society of Medicine. 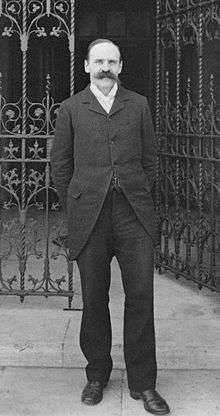 Haldane died in Oxford at midnight on the night of 14 March/15 March 1936. He had just returned from a trip he had undertaken to investigate cases of heat stroke in the oil refineries in Persia. Sir Henry Newbolt wrote a poem called "For J. S. Haldane", published in his anthology "A Perpetual Memory and other Poems" in 1939. Haldane was an international authority on ether and respiration and the inventor of the gas-mask during World War I.
Haldane helped determine the regulation of breathing, and discovered the Haldane effect in haemoglobin. He was the founder of The Journal of Hygiene. In 1907 Haldane made a decompression chamber to help make deep-sea divers safer and produced the first decompression tables after extensive experiments with animals. He was also an authority on the effects of pulmonary diseases, such as silicosis caused by inhaling silica dust. After being forced out of combatting poison gases in World War I, through alleged German sympathies, he shifted into working with victims of gas warfare and developed oxygen treatment including the oxygen tent. He investigated the principle of action of many different gases. He investigated numerous mine disasters, especially the toxic gases which killed most miners after firedamp and coal dust explosions. The toxic mixtures of gases found in mines included afterdamp, blackdamp and whitedamp. His description of the way a flame safety lamp can be used to detect firedamp by the increase in height of the flame, and chokedamp by the dying of the flame, is a classic exposition in his textbook, Respiration. Although electronic gas detectors are now used widely in all coal mines, flame lamps are still used extensively for their ease and simplicity of operation. Electronic gas detectors rely on a catalytic chip which can be poisoned by atmospheric impurities. He identified carbon monoxide as the lethal constituent of afterdamp, the gas created by combustion, after examining many bodies of miners killed in pit explosions. Their skin was coloured cherry-pink from carboxyhaemoglobin, the stable compound formed in the blood by reaction with the gas. It effectively displaces oxygen, and so the victim dies of asphyxia. As a result of his research, he was able to design respirators for rescue workers. He tested the effect of carbon monoxide on his own body in a closed chamber, describing the results of his slow poisoning. In the late 1890s, he introduced the use of small animals for miners to detect dangerous levels of carbon monoxide underground, either white mice or canaries. With a faster metabolism, they showed the effects of poisoning before gas levels became critical for the workers, and so gave an early warning of the problem. 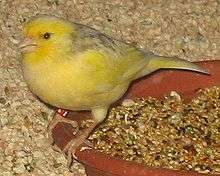 The canary in British pits was replaced in 1986 by the electronic gas detector. Pike's Peak as seen from within Manitou Springs, Colorado. Haldane pioneered study of the reaction of the body to low air pressures, such as that experienced at high altitudes. He led an expedition to Pike's Peak in 1911, which examined the effect of low atmospheric pressure on respiration. In addition to his work on mine atmospheres, he investigated the air in enclosed spaces such as wells and sewers. One surprising result of his analysis of the air in the sewers beneath the House of Commons was to show that the level of bacterial contamination was relatively low. During this research, he investigated fatalities of workmen in a sewer, and showed that hydrogen sulfide gas was the culprit. 1 2 3 4 5 6 Acott, C. (1999). "JS Haldane, JBS Haldane, L Hill, and A Siebe: A brief resume of their lives.". South Pacific Underwater Medicine Society Journal. 29 (3). ISSN 0813-1988. OCLC 16986801. Retrieved 12 July 2008. ↑ BBC radio interview, Third Programme, 1960. ↑ Addison, Henry Robert; Oakes, Charles Henry; Lawson, William John; Sladen, Douglas Brooke Wheelton (1907). "HALDANE, John Scott". Who's Who. 59: 757. ↑ "University intelligence". The Times (36588). London. 17 October 1901. p. 4. ↑ "Lists of Royal Society Fellows 1660–2007" (PDF). London: The Royal Society. Retrieved 21 July 2010. ↑ The Sciences and Philosophy: Gifford Lectures, University of Glasgow, 1927–28 by J.S. Haldane, Doubleday, Doran and Co., Inc., Garden City, NY, 1929. ↑ Boycott, A. E.; G. C. C. Damant, J. S. Haldane. (1908). "Prevention of compressed air illness". J. Hygiene. 8 (03): 342–443. doi:10.1017/S0022172400003399. PMC 2167126 . PMID 20474365. Wikimedia Commons has media related to John Scott Haldane.